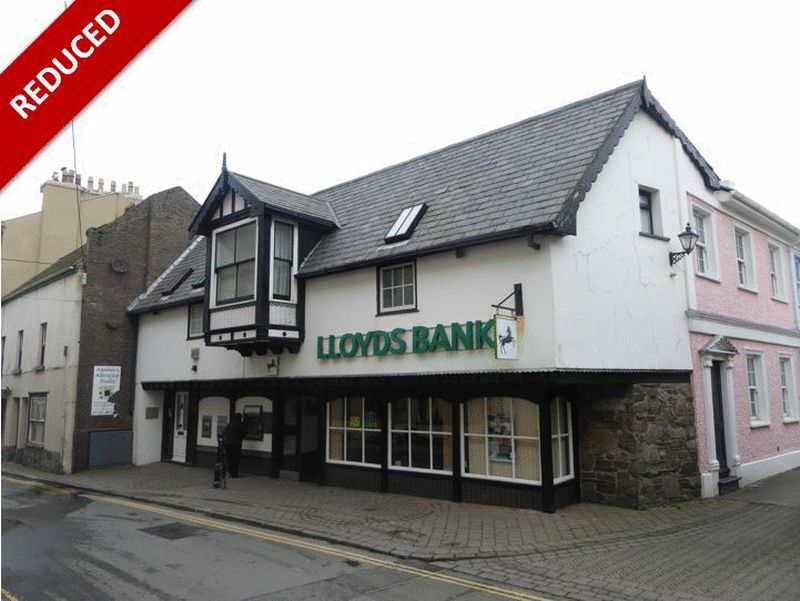 An excellent commercial investment property occupied by Lloyds Bank PLC with a strong covenant in the centre of Peel, currently producing £23,500 per annum. The building extends approx. 2,192 sq ft and benefits from 8 car parking spaces. Travelling into Peel from Douglas, take a left turning into Queens Drive at the junction with Albany Street. Take the next right at the round about and continue to the junction with Patrick Street. Turn right and continue to Market Place where Douglas Street can be seen on your right. The premises can be found on the left hand side in the centre of Peel's main retail area. Retail/Banking Hall - 1,800 sq ft approx. NIA. Storage/Staff - 392 sq ft approx. NIA. The property is currently let to Lloyds Bank PLC. The lease was agreed from 12th February 2014 for a term of 6 years at a passing rent of £22,000 per annum, exclusive of VAT and rates. There is a tenant break option and rent review after the third year, which is a fixed uplift to £23,500 per annum. Strictly by prior arrangement through the Agents, Chrystals Commercial.